Over the summer, there were rumours that Joe Murphy, the first-overall pick in the 1986 NHL Draft, was living homeless. Murphy, 51, appeared in 779 NHL games over 15 seasons and a won a Stanley Cup in 1990 with the Edmonton Oilers, but little has been known about him since his career came to a strange ending during the 2000-2001 season. I set out with former NHL goaltender Trevor Kidd, to find Murphy and discover where his life has gone over the past 17 years. We were able to track down Murphy, after tips that he was spotted in Kenora, Ontario. After speaking with Kidd, Murphy agreed to share his story, though the exact path that led him to the small Ontario city 200 kilometres east of Winnipeg remains unclear. Murphy, who made more than $15 million during his playing career, is supposed to receive an NHL pension that pays him about $1,100 per month. But, since early April 2018, he’s slept in a local homeless shelter, on a Canadian Tire property, and in the bush along Highway 17, the Trans-Canada Highway in Kenora. The decline from making millions to bankruptcy seems unfathomable to most, especially considering that as an NHL prospect in 1985, Murphy was being compared to Hall of Famers Dale Hawerchuk and Mario Lemieux. Murphy, who earned between $15 million to $20 million during his career, acknowledges that mistakes were made and that he should have made better choices. He also talks about the types of prescription medications that he received while he was in the NHL, given by teams and team trainers so that he wouldn't miss ice time. And he wonders himself whether the drugs that he took to remain an active NHL player, may have exacerbated his situation. Stories like this leave the question of whether it may be time for the league to try to step in and help their former athletes. After it emerged that TSN and Trevor Kidd had tracked down Murphy, NHL Alumni Association president Glenn Healy and Adam Graves, one of Murphy’s former teammates with the Edmonton Oilers, visited him for a few hours in September. Healy and Graves declined to comment on that visit. While an effort to place Murphy in an apartment failed, a source told TSN that officials who administer the NHL/NHLPA Emergency Assistance Fund agreed to pay for a room for Murphy in a local motel. A motel employee confirmed that Murphy’s room has been paid up through the end of October, giving him a place to live, at least for now. Joe Murphy, who made between $15 million and $20 million during his professional hockey career, acknowledges he should have made better choices. 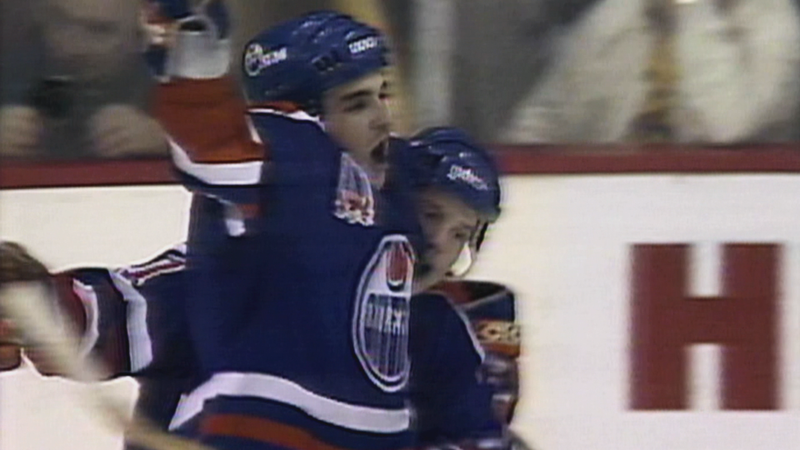 Joe Murphy when he played for the Stanley Cup-winning Edmonton Oilers in 1990. Joe Murphy speaks with TSN's Rick Westhead.